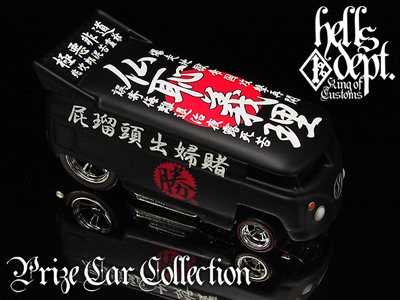 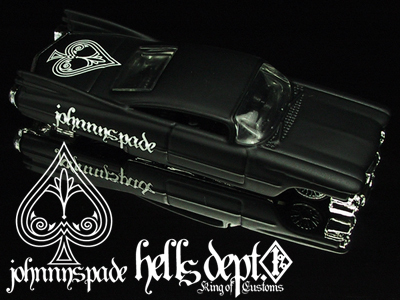 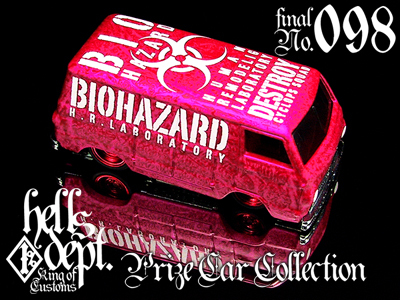 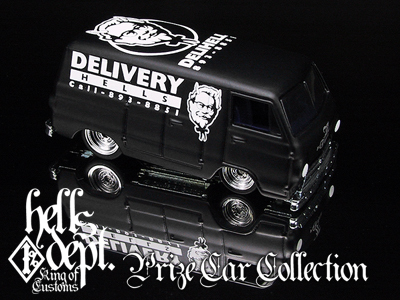 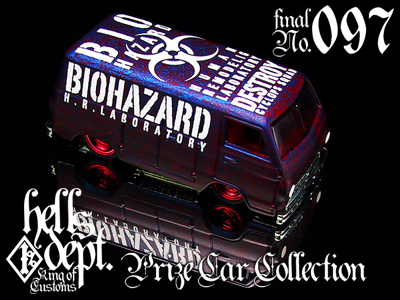 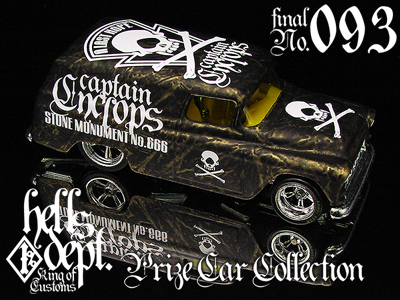 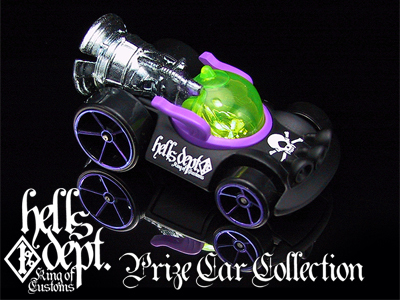 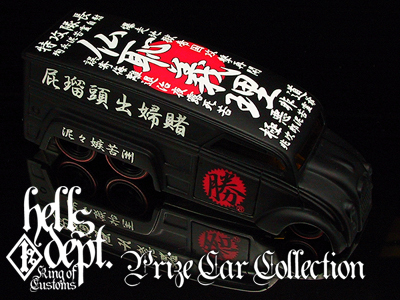 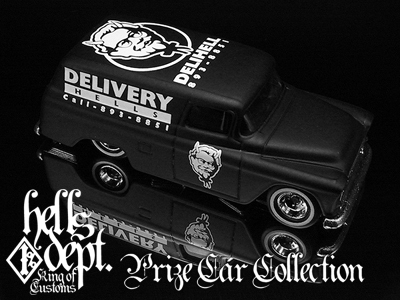 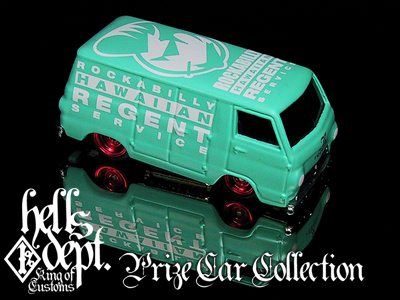 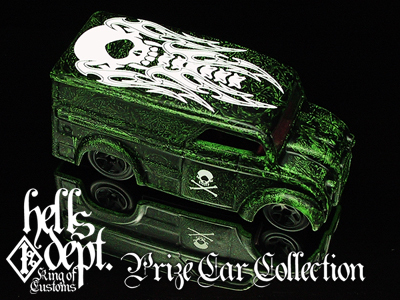 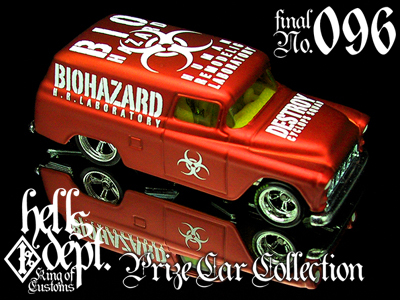 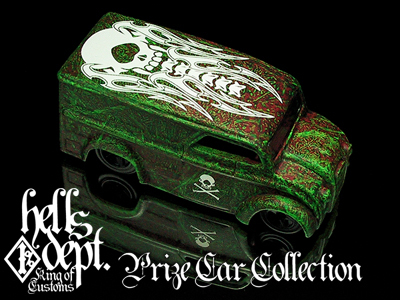 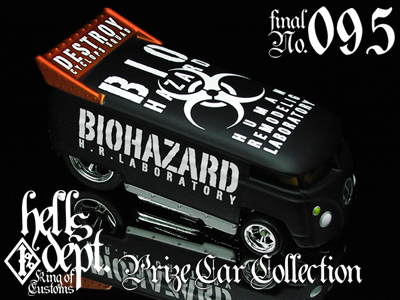 Prize Car No.098 BIOHAZARD H.R.LABORATORY "ARTERY"
Prize Car No.097 BIOHAZARD H.R.LABORATORY "VEIN"
Prize Car No.092 SKUNM CUSTOM THANKS A LOT! 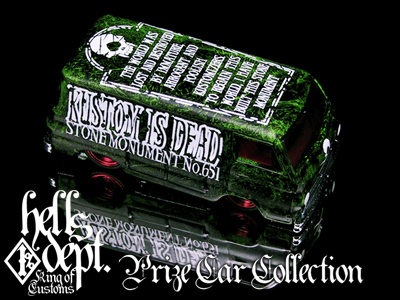 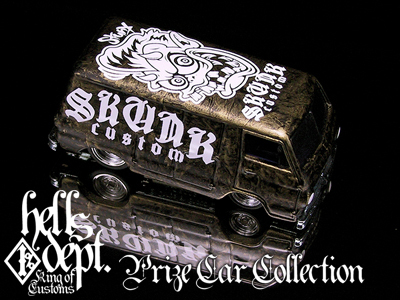 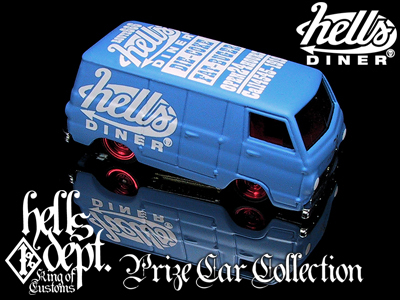 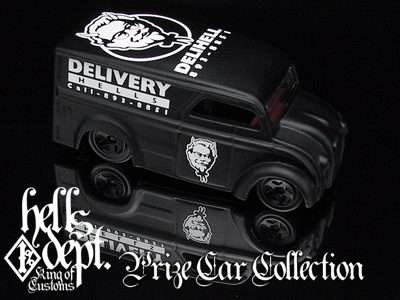 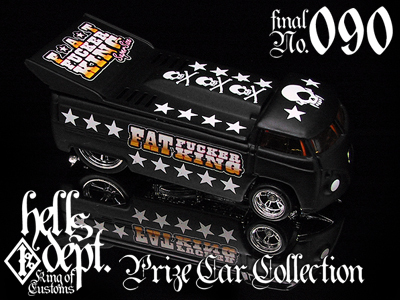 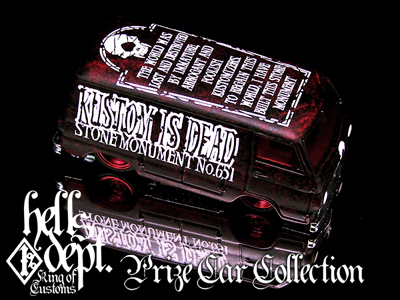 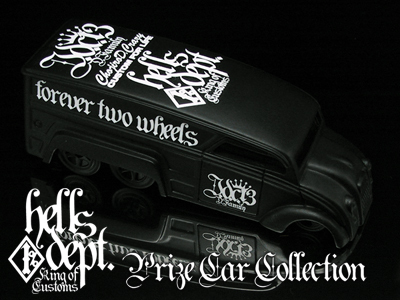 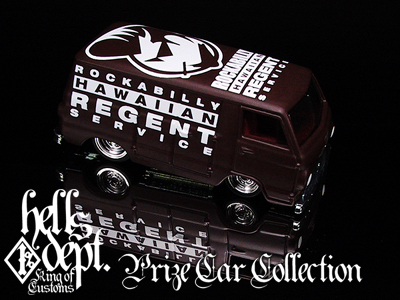 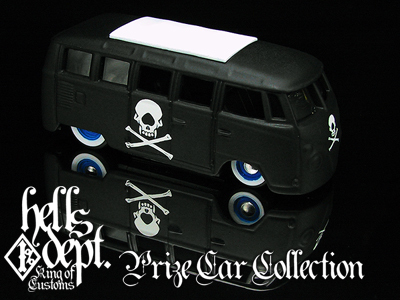 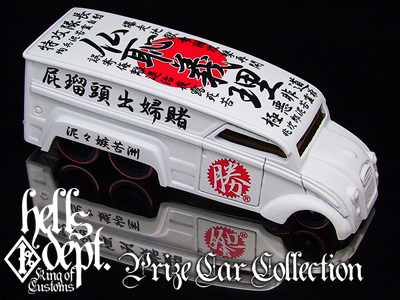 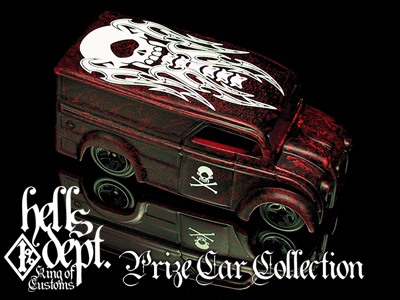 Prize Car No.089 MASARU RACING VW DRAG BUS C.R.SP. 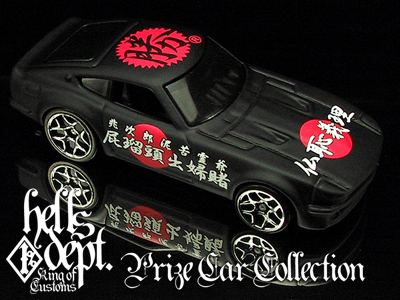 Prize Car No.087 MASARU RACING dd6 C.R.SP. 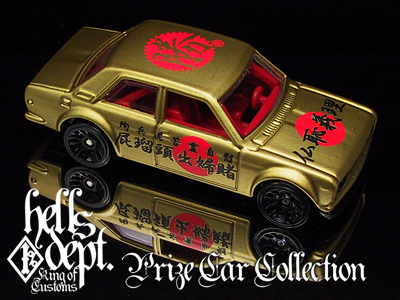 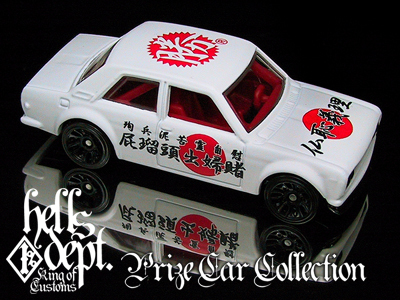 Prize Car No.086 MASARU RACING DATSUN 510 C.R.SP. 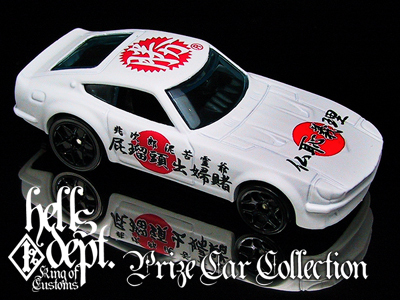 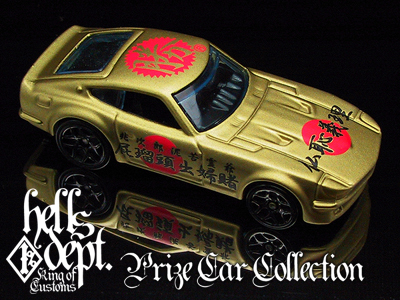 Prize Car No.085 MASARU RACING DATSUN 240Z C.R.SP. 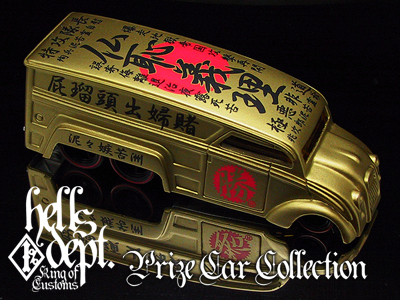 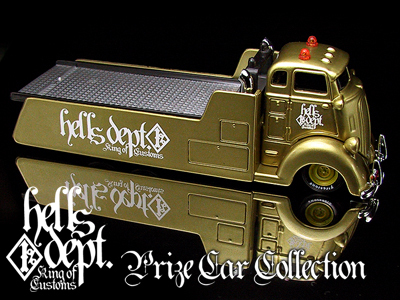 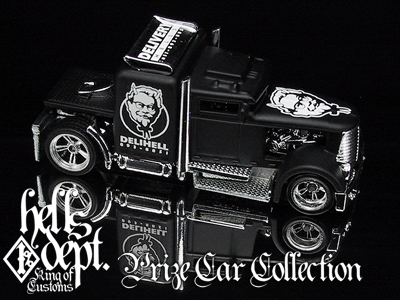 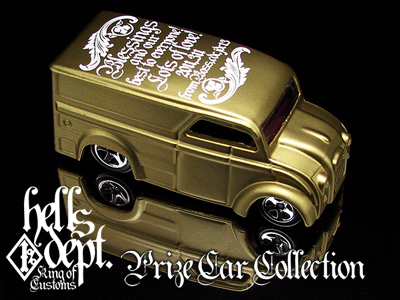 Prize Car No.078 CHARITY CAR "Message from Boss"
Prize Car No.077 HELLS DEPT COE FLATBED "GOLD"
Prize Car No.076 LITTLE BLACK SPEED STER "CYCLOPS Squad"
Prize Car No.075 VW SAMBA "CYCLOPS Squad"
Prize Car No.073 FOREVER TWO WHEELS JDC13 "dd6"
Prize Car No.072 DELIVERY HELLS "dd6"
Prize Car No.071 DELIVERY HELLS "CUSTOM CONVOY"
Prize Car No.070 DELIVERY HELLS "DAIRY DELIVERY"
Prize Car No.069 DELIVERY HELLS "CUSTOM '59 CHEVY"
Prize Car No.068 DELIVERY HELLS "CUSTOM '62 CHEVY"
Prize Car No.067 DELIVERY HELLS "49 DRAG MERC"
Prize Car No.066 59 CUSTOM CADILLAC "JOHNNY SPADE"
Prize Car No.065 QUEEN CYCLOPS "CONCEPTION"
Prize Car No.064 QUEEN CYCLOPS "GREEN SKIN"
Prize Car No.063 QUEEN CYCLOPS "RED SKIN"
Prize Car No.062 QUEEN CYCLOPS "BORN"
Prize Car No.061 KUSTOM IS DEAD 651/666 "BLACK'N RED"
Prize Car No.060 KUSTOM IS DEAD 651/666 "BLACK'N GREEN"
Prize Car No.059 SKUNK CUSTOM CM CAR "BLACK'N GOLD"
Prize Car No.058 SKUNK CUSTOM CM CAR "BLACK'N PURPLE"
Prize Car No.057 HELLS DINER Call4545-1919 "Salad Green "
Prize Car No.056 HELLS DINER Call4545-1919 "Pig Pink"
Prize Car No.055 HELLS DINER Call4545-1919 "Blue Sky Blue"
Prize Car No.054 HAWAIIAN REGENT SERVICE "CHOCOLATE"
Prize Car No.053 HAWAIIAN REGENT SERVICE "PEPPERMINT"